Jaisalmer was one of the Rajput kingdoms of Rajasthan which emerged in sixteenth century India in the modern north-west of the country. It was centred around the city of Jaisalmer, in south-western Rajasthan. It has been nicknamed the 'Golden City' thanks to its yellow sandstone structures and the gold-coloured desert surrounding them. It was once the royal seat of the Bhatti Rajputs (the Yaduvanshi), a sect which had one or two notable warrior leaders. Today's Jaisalmer Rajputs claim descent from these, including early medieval kings such as Jaisimha, Devraj (considered to be the founder of the Jaisalmer royal line), Rawal Jaisal (who established the city of Jaisalmer in 1156), and Rawal Jethsi (who faced an eight year siege by Sultan Aladin Khilji if Delhi around 1294). The Rajputs who inherited the territory were Hindu warrior clans, and the word 'rajput' itself literally means 'the son of the king', with the people being known for their valour. There were a number of small Rajput kingdoms which emerged between the sixth and thirteenth centuries, including Amer, Bikaner, Bundi, Jodhpur, Malwa, Kannauj, Mewar, and all were eventually conquered by the Moghuls. Patiala, in the south-eastern area of the modern Indian state of Punjab, was a Jat Sikh state which was founded by Sardar Baba Ala Singh. The line of kings traces its ancestry to Rawal Jaisal, the founder of the city of Jaisalmer. Notable chieftain and early Bhatti Rajput warrior. While the genealogy of the Bhatti Rajputs is known, it does seem to be approximate, and is poorly dated. Only a few names stand out and can be linked to historical events, and not reliably so until the twelfth century. Son. Ruled from Lahore in Punjab. Son. Founded Tanot in 731. Son. 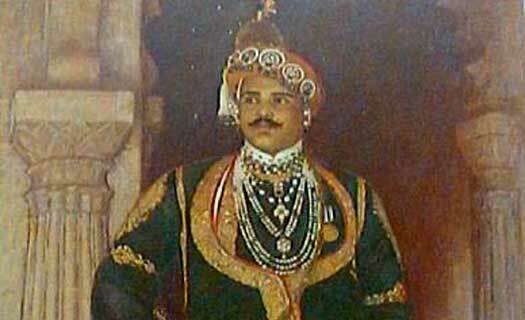 Founder of the Jaisalmer royal line. Made Lodorva the capital. Uncle. Established the city of Jaisalmer. The early Bhatti capital at Lodorva (Ludarva) is ransacked and laid waste by Shihab ud-Din Muhammad (Shihabuddin), the Afghan chief of Ghor. Nevertheless, he and Jaisal patch up their differences and Jaisal goes on to kill his own brother and nephew in battle with the help of Shihab ud-Din Muhammad. 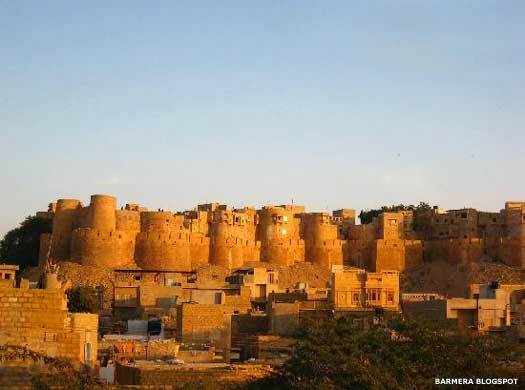 A new capital is established when Jaisal founds the city of Jaisalmer. Son. Encouraged the arts in his kingdom. Son. His brother Mokal was said to be a great general. The Bhatti Rajput leader Jethsi faces an eight year siege by Sultan Aladin Khilji of Delhi. Tradition has it that when the Bhatti Rajputs are sure of their impending defeat, they kill their womenfolk, with some committing 'Jauhar' by jumping into the fire lest they be defiled by the enemy. The males, the warriors, march from the fort, heading straight for their enemy and a final massacre. Eventually some surviving Bhattis reoccupy the fort. The second Jauhar takes place under similar circumstances, this time against Sultan Ferozshah of Delhi. The third Jauhar takes place when a local Afghan chief by the name of Amir Ali attacks Jaisalmer, one of many Afghans settled in north-western India. This time around the army of Jaisalmer is victorious in its defence. Lunakaran also fights Moghul emperor, Humayun as the emperor passes through on his way to Ajmer. The Moghul emperor, Akbar, gains the submission of Jaisalmer, along with the other Rajputs of Bikaner, Bundi, and Jodhpur. Bhim Singh forms a matrimonial alliance with the Moghuls when he marries his daughter to Raja Raj Singh of Bikaner. The raja's own daughter is married to Prince Salim, son of Akbar (later to be the Emperor Jehangir). Sahal Singh assists Moghul Emperor Shah Jahan in his Peshawar campaign. He also extends his kingdom and comes into conflict with the Bikaner Rathors. Son. Warded off an attack by Anup Singh of Bikaner. Son. m daughter of Jai Singh of Mewar. Brother. Concluded peace with Bikaner. Son. m daughter of Ajit Singh of Jodhpur. Attacks by the Jodhpur Rathors begin during the reign of Mulraj Singh II. Mulraj Singh signs a treaty with the British for protection. Adopted son. Acceded to the Indian union. India achieves independence from Britain and begins the process of taking control of the princely states. Mewar is one of the first of the princely states to merge with the new dominion. Later in 1949, twenty-two princely states of Rajasthan merge to form the Union of Greater Rajasthan, acknowledging the maharana of Udaipur in Mewar as their head. On 1 November, the state of Rajasthan comes into being. The Rajasthan rulers give up their sovereignty but enjoy privy purses. In 1970 the Indian Parliament decides to abolish the institution of royalty, and the following year the rulers of the former princely states are de-recognised and their privy purses and titles snatched away from them.